Traveling the world doesn’t have to break your bank account—there are creative ways to not only lower your total travel bill, but have a richer experience on the road, too. Couchsurfing is a free community of travel-lovers offering up a couch to backpackers from all over the world. The only thing you have to exchange is culture, conversation, and friendship. If you’re couchsurfing for the first time, here’s the lowdown on couchsurfing protocol—from host gifts to building friendships. Accommodation accounts for a whopping 21% of your travel budget, on average. Even though a life of travel is surely worth the price—that’s a lot of moolah leaving your travel account every single day on the road. If you're ready to take that long trip, but not ready to pay for a month of hotel stays, couchsurfing is the way to go. Couchsurfing—crashing in a local’s home for free—is as much about the experience as it is saving money. The movement, which started on Couchsurfing.org, is firmly embedded in the culture of around the world travelers and digital nomads. First, you’re going to need a profile. (And make it a good one! Include personal details that really help your future friends know who you are, why you’re traveling, and what unknown you’re seeking out there in the big wide world). Then, get hunting for your existing friends on the platform so you build references right out of the gate. The website uses a rating and referral system that lets both hosts and surfers build a reputation for reliability and trustworthiness. The profile process is pretty straightforward, but the rest comes down to understand how this community works. It’s easy to get overwhelmed by it all—what are the rules? What is the etiquette? Use the following five tips as a crash course on polite, ethical couchsurfing. Give them a read, then pack your backpack! Never again will you let the price of accommodation in your dream destination be the reason you’re stuck scrolling through Pinterest for a vicarious travel fix. The number one unspoken rule of couchsurfing: Bring something nice for your host as a present! This is usually a bottle of wine or some sort of foodstuff, but don’t limit yourself—a nice token or fun souvenir from your home country is also always appropriate and won’t take up much space in your bag (think fridge magnets, postcards from your city, an iconic candy, etc.). Once you arrive, give in other ways as well. Offer to help with some work in the garden or pitch in on household projects. You could offer to cook dinner one night, or to babysit. These are ways of giving that don’t involve any money—there’s no excuse to avoid them. Couchsurfing communities are based on reciprocity and kindness. Your host is generously letting you crash at their home; be generous in return, and give in the ways that you can. You’re in travel or vacation-mode while you’re couchsurfing, but your host is most likely working and attending to other obligations. Work around your host’s schedule as much as possible. Give advance notice of wanting to couchsurf with them. It’s not necessary to plan things out months in advance, but notice of at least three to four weeks is considerate. Once you’re at your host’s home, do what you can to keep the same schedule they do. Do they get up early in the morning, or do they sleep in? Are they night owls, or do they turn in early? Don’t force your hosts outside of their normal schedules, and always verify their schedule first if you plan to arrive on a budget flight in the dead of night. Forge an authentic connection with your host. This starts with your communications before your trip, and takes place while you are visiting. After all, if you wanted an impersonal experience, you could have stayed at a hotel or rented a private Airbnb. A massive part of the couchsurfing experience is getting to know somebody, especially when you’re staying somewhere far away from your home. Don’t treat your couchsurf location simply like a place to stay. If your host is open to it, take the time to hang out with them. Eat meals together, have conversations. 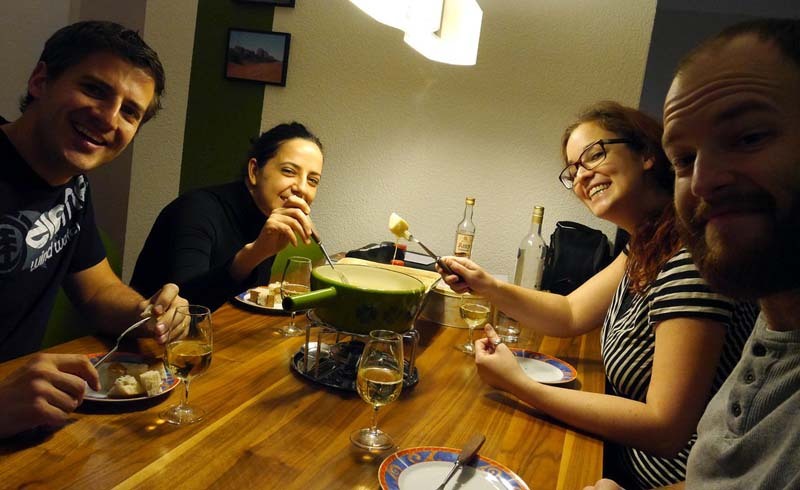 Building couchsurfing friendships starts with picking the right host—and knowing yourself. Are you a young, broke wanderer in your early 20s who wants to party? Choose a host with a similar lifestyle. If you are an older, more sedate traveler, choose a host with a more settled lifestyle. Trust me, this creates is a better experience for everyone if your host doesn’t plan a killer party the night you arrive when you’re more up for a killer round of Cards Against Humanity. Make your bed (or couch, as the case might be). Sweep the floor if you track in dirt. Offer to clean the bathroom. Use packing cubes to easily keep your personal items confined to your duffel. Always tidy up after you use the kitchen—it’s the height of bad manners to make your host clean up after you. After you’ve left your host’s home, leave feedback for them on Couchsurfing.org if that’s where you booked your stay. By the way—don’t lie if you had a bad experience. Honest but considerate feedback is pivotal to helping fellow travelers make the right accommodation choices in the future. You should always offer to return the favor—and be sure to mean it when you say it. Your Parisian host might never make it to small-town Minnesota, but it’s nice to know they’d have a place to stay there if they did. Couchsurfing, after all, is chiefly about the exchange. Always give back what you received. 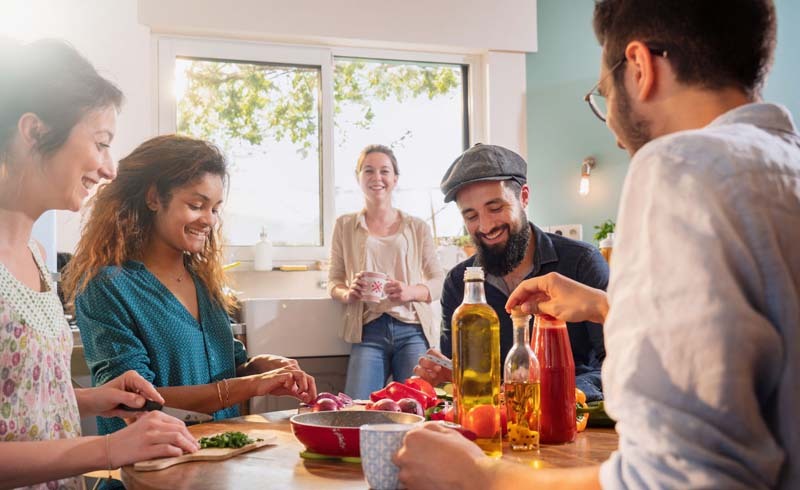 Couchsurfing is among the more fun, interactive ways to lower your travel bills, but the sharing economy is alive and well in housesitting, car rental splits, and more. There is no reason—zilch!—that you shouldn’t explore the full range of creative travel options that guarantee you’ll be saying adios to your cubicle and hello to adventure. So what are you waiting for—there’s an entire community of new friends around the world waiting to welcome you to their home. Pack your suitcase and hit the road.